There can exist no color or shade without light. To control this awkward agent has been a consistent issue for modern visual artists. Take, for example, Claude Monet, who made continuous and painstaking efforts to turn his canvas into a sort of specimen of light; or Vincent Van Gogh, who tried to emulate in his painting the vivid colors and bold black contour lines of Japanese Ukiyo-e, believing that, quite mistakenly, those aspects had resulted from the strong sunlight in the Far East country; or more recently Man Ray, who was a pioneer in experimenting with light, inventing a photographing technique which he himself named rayograph. 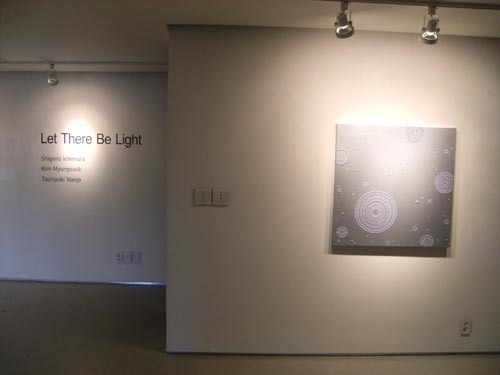 In this exhibition titled “Let there be light” we will present artworks of three East Asian artists; one from Korea, Kim Myungsook, and two from Japan, Shigeno Ichimura and Toshiyuki Nanjo. 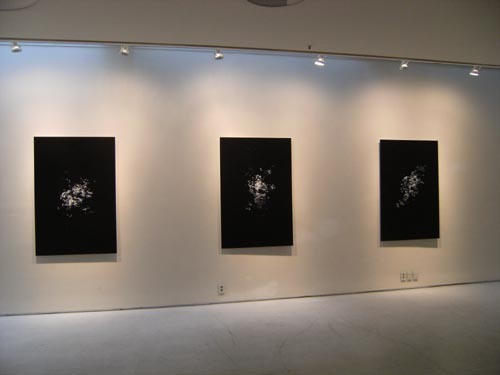 All three of them deal with light in their respective ways, using different media. This exhibition will highlight and contrast their interests in and approaches toward how to capture light, which has repeatedly been a focal point in modern art history, against the background of the culture in the East Asian region, where the sun and fire and even mirror have traditionally been worshiped as sacred, as well as in the context of international contemporary art movements. 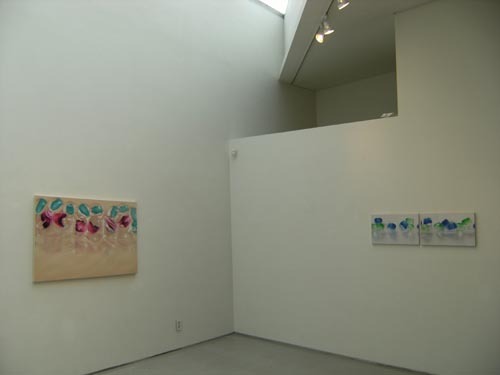 Shigeno Ichimura has been working as artist in New York for more than 20 years and now his work commands attention among professionals and art lovers not only in NY but also worldwide. 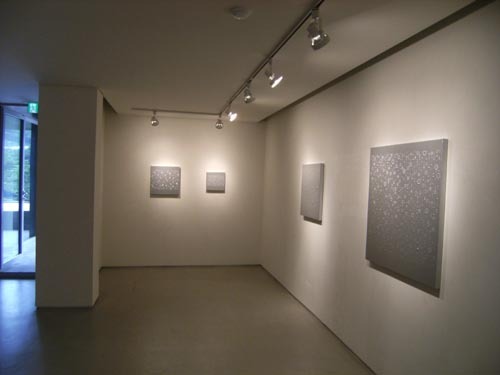 His work balances between painting and sculpture/objet; he drips small portions of acrylic paint onto the canvas to make countless mounds and then covers the whole surface with metallic silver paint, thus the dotted patterns take shape with help of light and its reflection. Serene and contemplative, Ichimura’s painting reveals an elusive quality inherent both in sight and light. 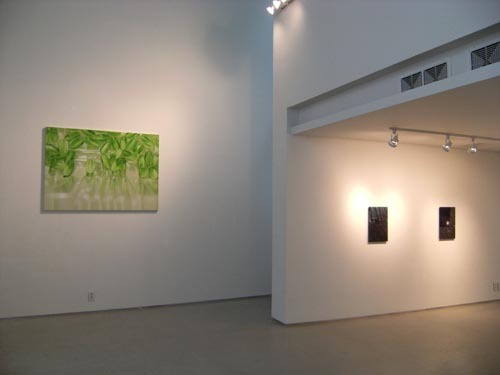 Technically, Kim Myungsook might be categorized as hyper-realist painter, but her focus is not on realistic depiction of things; rather, she aims at showing something our eyes cannot really capture, something only a painting can present in front of our eyes. She paints tiny glass beads soaked in water. Blown up dramatically, those small translucent objects are cut off from context or meaning, and what we see in her painting is only colors and light, which is partly reflected and partly penetrating through. 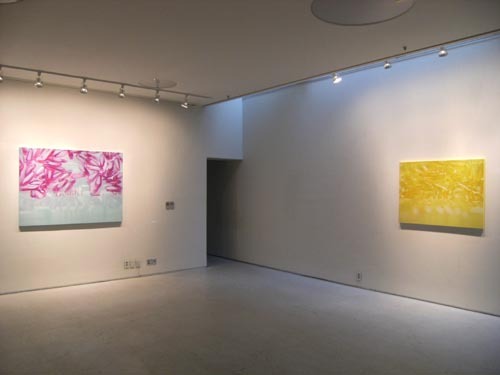 Despite her exquisite brushwork, looking at her painting is like looking at an abstract color-field painting, and we are invited to savor the beauty of light. 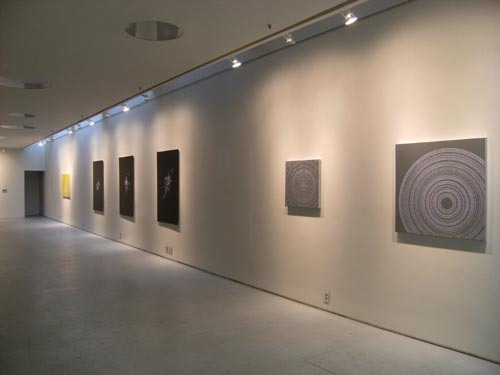 Toshiyuki Nanjo is the only photographer featured in this exhibition, and though photography itself is often labeled “art of light,” Nanjo boldly tries to seize the entity of light relying solely upon conventional photographic techniques. 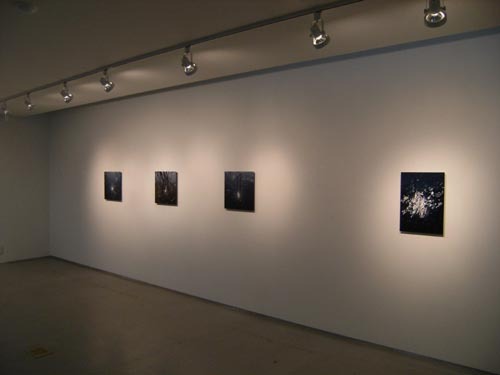 He photographs the surface of water and the sunlight reflected on it. The trace of the sun on the water is a materialistic record of how the light existed there. 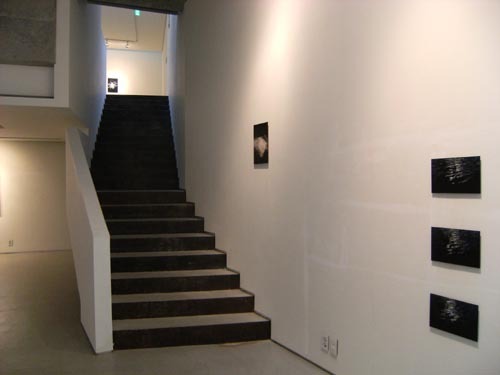 Facing Nanjo’s work, we realize a certain trinity; the sun, the water surface and the space in-between ? which may be presented as a metaphor to our perception of the world.